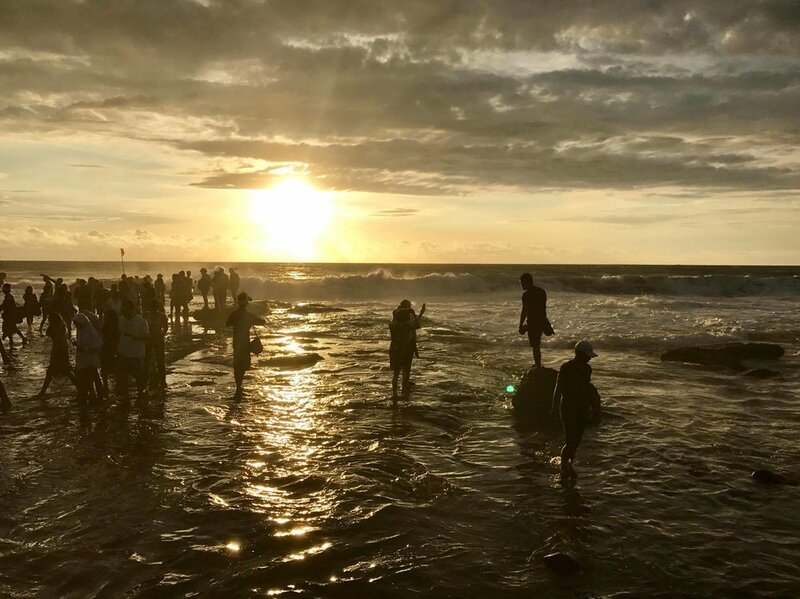 My week in Bali in pursuit of warmth in a midst of a freezing winter was thoroughly enjoyable, though somewhat underwhelming. 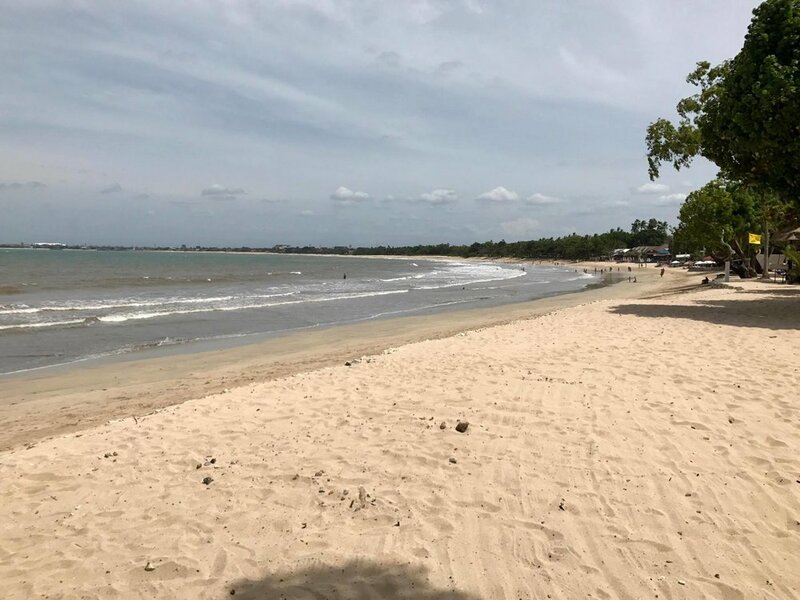 As far as beaches go, Bali is somewhat middling as a tropic destination, though resorts offered impeccable hospitality and I had more than my fill of delicious Indonesian nosh. 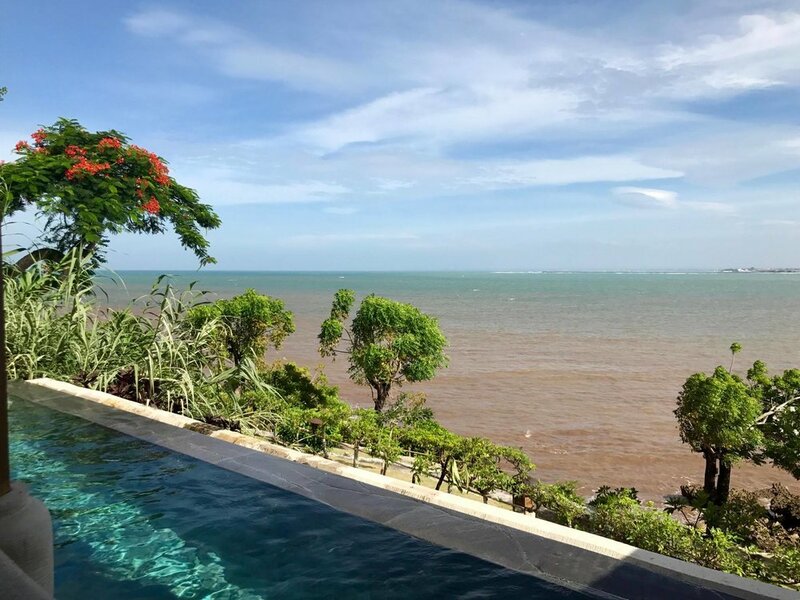 With its proximity to Hong Kong and value price range, its certainly a great choice for winter getaway for some sun, water, and on-par relaxation. 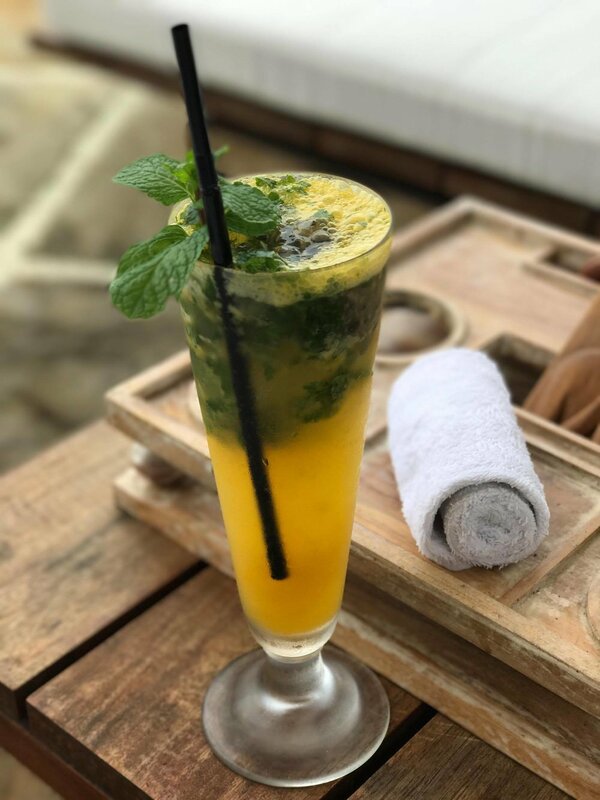 As with any tropical journey, lounging by the beach is a must. Preferably, of course, with a drink in hand and snacks. 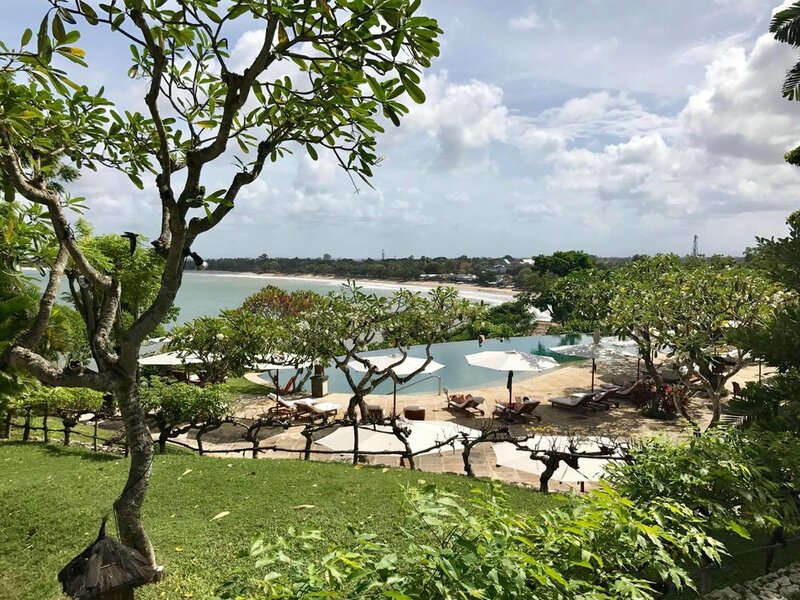 The resort I stayed in was located in Jimbaran Bay, which had beautiful sunsets but somewhat mediocre beaches. 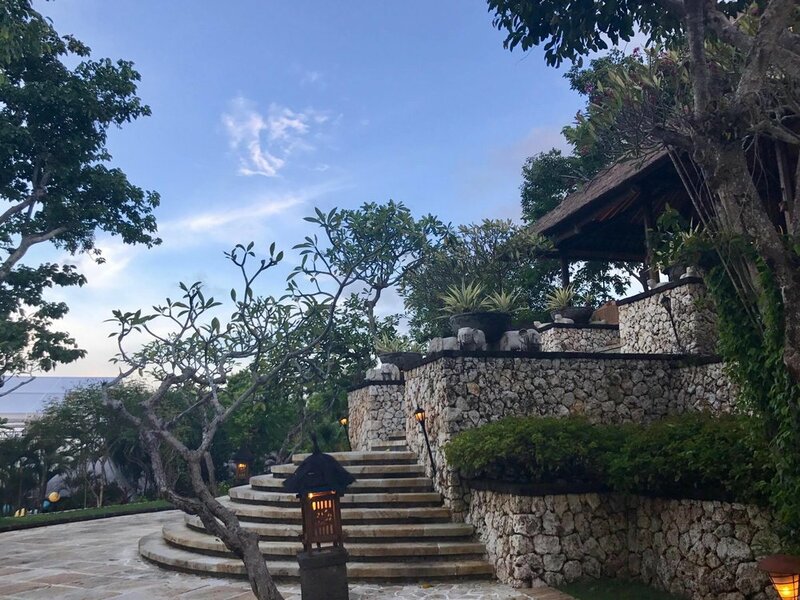 Though the sand wasn't as fine as Australia's Whitehaven Beach, and the water not as crystal clear and blue as the Maldives, Bali was nonetheless an interesting and exotic tropical destination. Perfect relaxation depends heavily on the locale. Choose your hotel wisely, as the island is comprised predominantly of resorts, and most guests spend a majority of their vacation on premise! 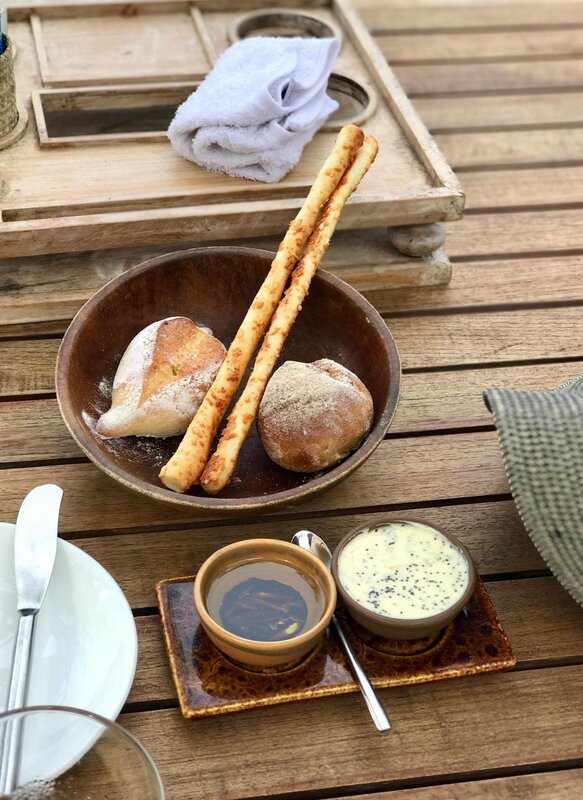 Cuisine, of course, is a large part of experiencing any new destination. 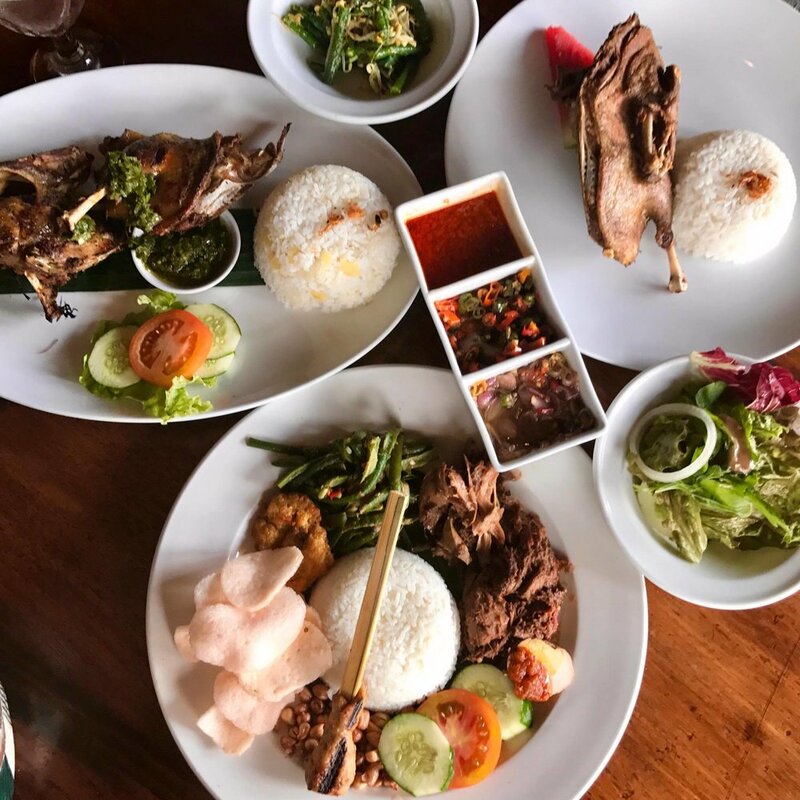 Luckily, Bali had no shortage of delicious and colorful Indonesian dishes to offer. Afternoon tea...for those with a sweet tooth. Of course, no beach-side vacation is complete without a spa day. I chose the nearby Bamboo Spa by L'Occitane. A worthy experience, and a full day of pampering. At some point, a weeklong stay in a beach vacation destination needs to be interlaced with a cultural day. 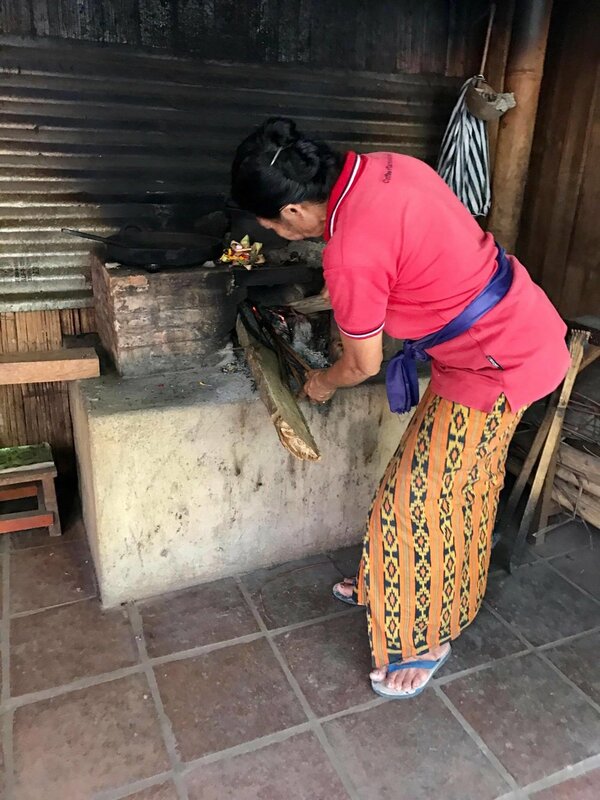 The nearby town of Ubud and its surrounding region features exotic duck cuisine, monkeys, Kopi Luwak (poop coffee), rice terraces, and Tanah Lot Temple. 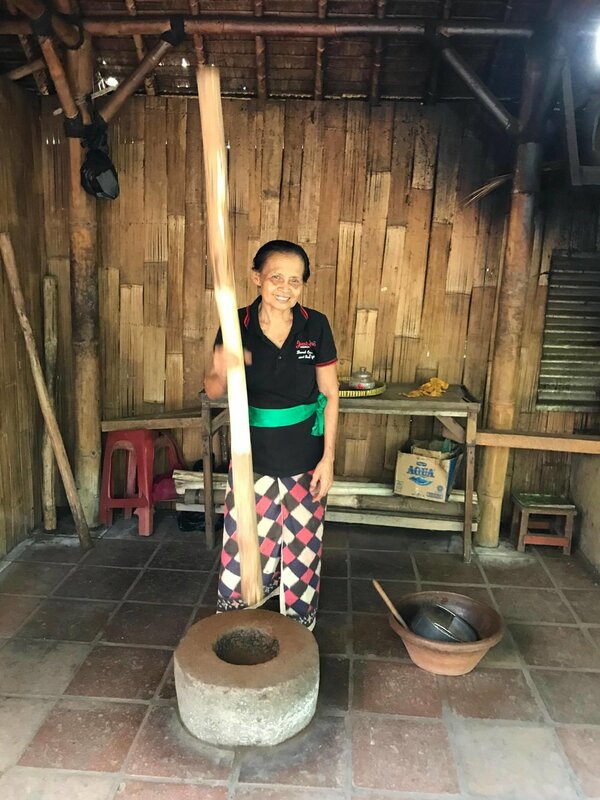 On the way to Ubud, we stopped at some artisan villages that each specialized in particular craft. 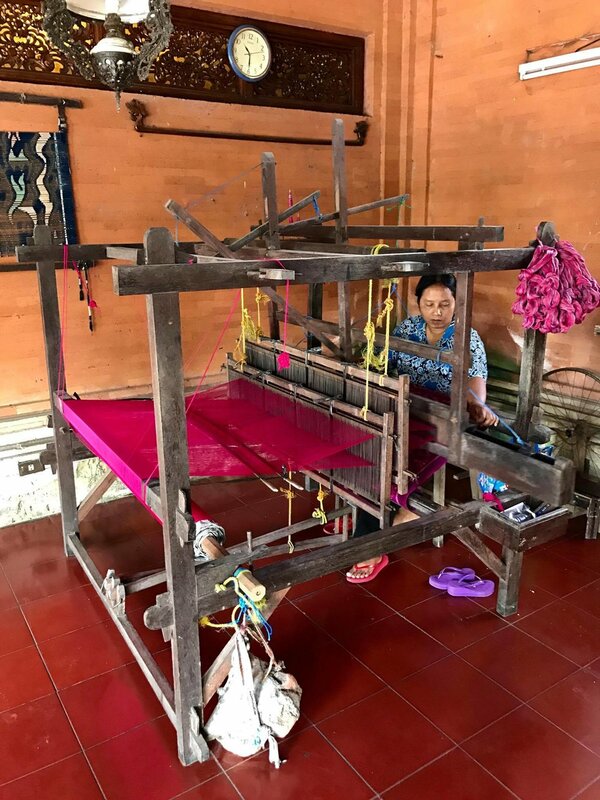 Cloth making, woodwork, metal smithing and painting, the people of Bali lack no artistic talent. Next stop: Monkey Forest. Not pictured are the plethora of monkeys running around the place, true to its name. A delightful midday stroll in the cool shade of the forest amidst many cute companions. 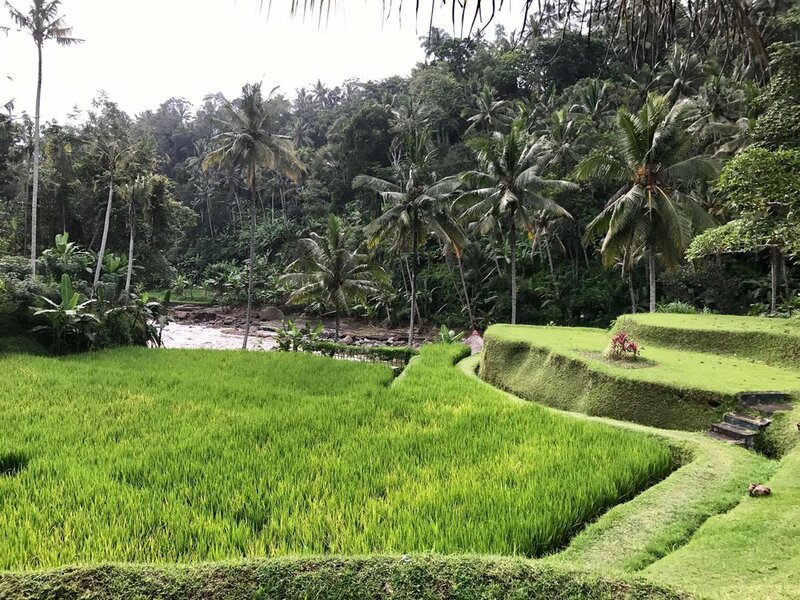 Rice Terraces are another famed site on the island of Bali that many tours around the island will take you to. These particular terraces were found in the Four Seasons at Sayan. Charming. A quick lunch stop for a local delicacy, dirty duck, named for the ducks that are bred in rice paddies, whose feathers are often covered with mud. We stop at a local favorite that's been serving up this 'bebek bengil' to tourists and locales alike for over a decade. True to recommendations and reviews. the ducks prepared in Bali were some of the best I've ever had. Crispy and tender at once, the meat was succulent and cooked to perfection. The restaurant offers a variety of other local favorites as well, and surprisingly, makes a mean iced Margherita. 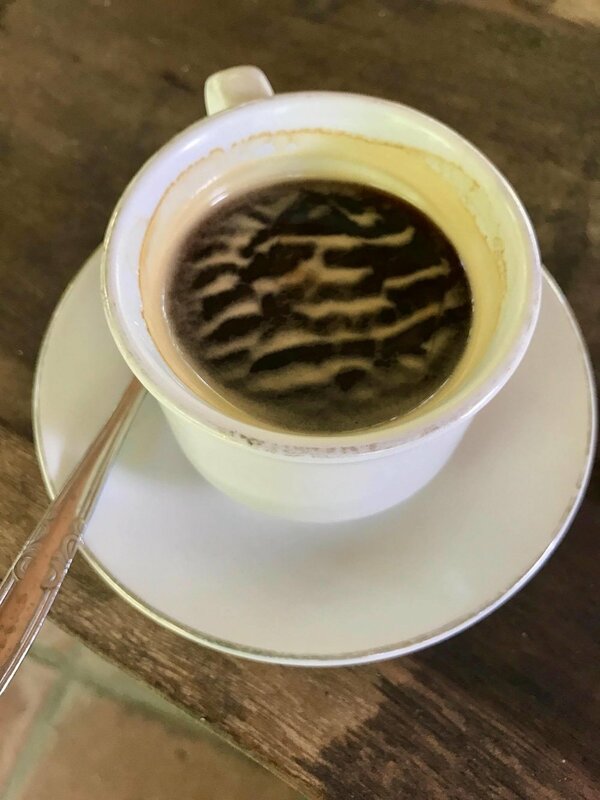 Kopi Luwak, known as the world's most expensive coffee, is typically produced in the Indonesian Archipelago, including on the island of Bali. We visited a plantation which produces the coffee, which had its process of production on display from beginning to end. Coffee beans are first grown and then eaten by the Asian palm civet, which are then passed out through their digestive system. These coffee beans are partly encased in their shell, which must be removed to produce the coffee beans that are then packaged, sold, and used. 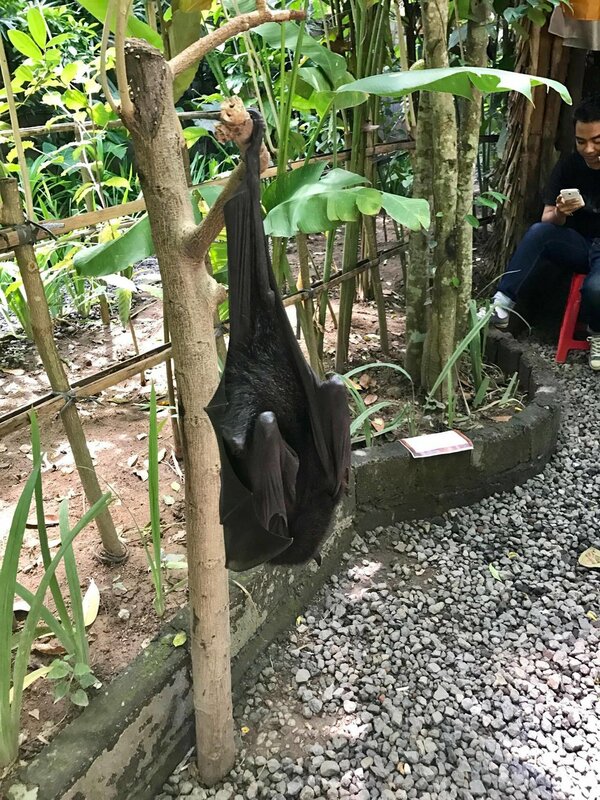 As such, the beans are not directly digested and passed out by the animals, as many assume, and are somewhat more sanitarily encased in an outer shell. The beans are then de-shelled, roasted, and then pulverized into powder. 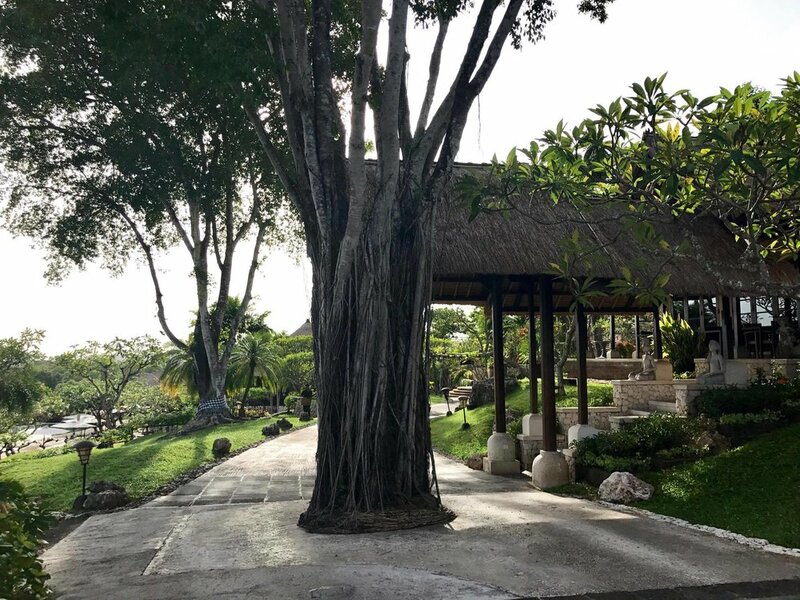 The plantation offers booths by the river that guests can try various coffees, and ultimately kopi luwak. I thought the taste somewhat bitter and slightly more nutty than the average black coffee, thankfully no flavor hints that would indicate its already passed through the digestive system once. A few animals that greeted us as we left, reminding us of the tropical climate that kopi luwak is produced in. Last stop of the day, Tanah Lot, a temple situated on a rock rising out of the ocean. In times of low-tide, visitors can access the temple. Approaching the site near sunset, however, the tides were too high for the temple to be accessed. A lovely sight to behold nonetheless. 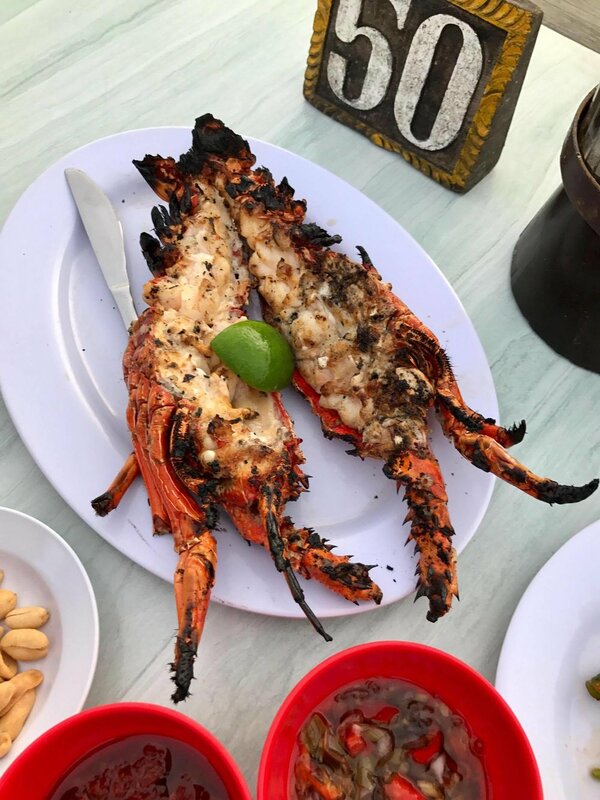 Any trip to Bali is arguably incomplete without a visit to the seafood grilles by Jimbaran Bay for dinner. 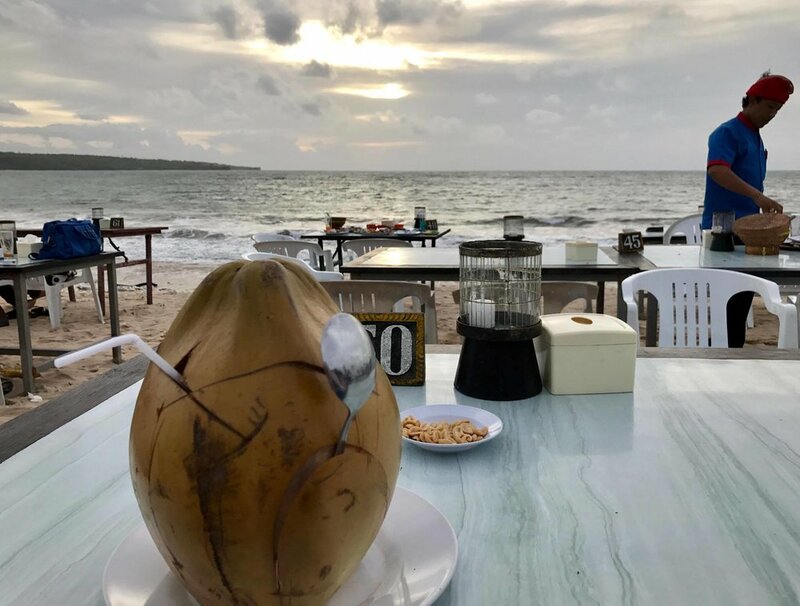 With tables and chairs set up right on the sand, and fresh seafood barbecued to order, the sunset isn't the thing that makes this a worthy trip. 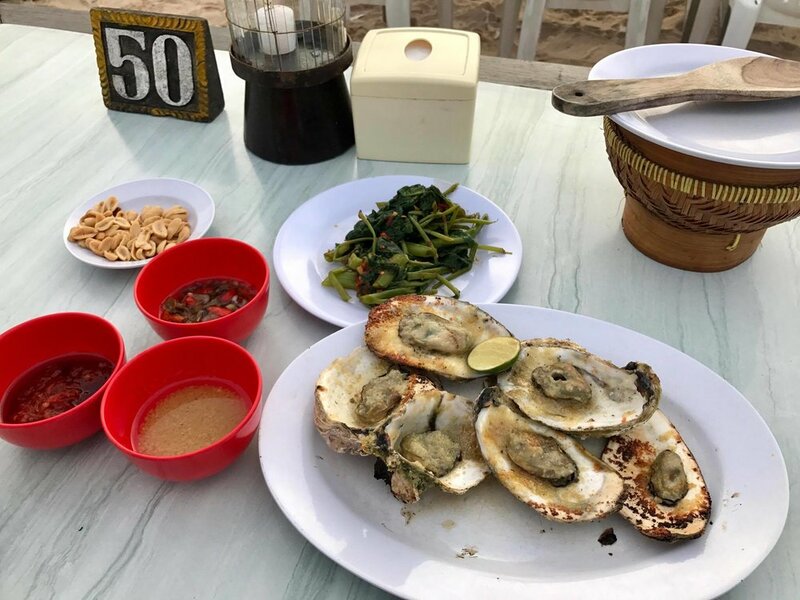 From grilled lobsters to chilli crab to oysters and more, its seafood-galore at this particular beach. Last but not least, I leave Bali with a photo of this man, casually selling BBQ corn on the beach. What a cool dude. But actually.